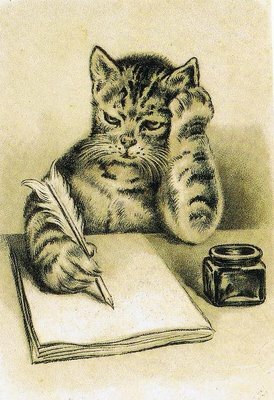 Raymond Wilson poetry competition: entries now closed; winner announced on 2nd November. All University of Reading students were invited to explore their creative side by entering the annual Raymond Wilson Poetry Prize. The competition is held in memory of brilliant educationalist Raymond Wilson (1925-1995), former Emeritus Professor of Education at the University. The competition, which has now closed to further entries this year, carries a prize of £200 for the best poem for children. The competition is being judged by children in a local school and their vote carries equal weighting with that of a published children’s poet and with an academic; competition organiser, Stephanie Sharp of the IoE. This brings the perspectives of teacher, writer and young reader to bear on the judging. The closing date for entries fell on National Poetry Day on 8th October 2015, with the winner being announced on 2nd November. Raymond Wilson was an exceptional educationalist, as well as an inspired educational editor who introduced new editions of Samuel Taylor Coleridge’s poetry and Jane Austen’s novels. Wilson was also well-known as an intuitive, sensitive critic and a prolific anthologist. Queries about any aspect of the competition can be addressed to Stephanie Sharp: s.sharp@reading.ac.uk (ext 2675). Competition rules are below. For the second year, we are delighted to be able to offer free and extensive CPD for primary and secondary school language teachers through funding from the government, co-delivered by experienced local teachers and University tutors. Thank you for those who joined us for the full day Session 1 of this important CPD feature on 9th October 2015 – 23rd March 2016. The programme began with a whole day of input and activities, followed by monthly twilight sessions and will end with a half-day event. French language upskilling sessions will be provided for primary teachers in addition, each month. Government funding allows us to be able to make a substantial contribution to supply costs for teachers attending the first and last event plus some twilight sessions. The programme is of benefit to all those teaching languages, especially colleagues leading languages provision in schools, as well as those new to delivering primary languages. The language of focus for primary colleagues will be French; for secondary colleagues, sessions will include examples in French, German and Spanish. Much of the content for secondary colleagues will be very relevant for the new GCSE specifications, especially with regard to spontaneous speaking and literary texts. As well as gaining a wealth of practical ideas, participants on the programme will also enhance their understanding of the principles that underpin effective language learning. If you are unable to attend the first whole day session, you will still be very welcome to come to the twilights. We also welcome different teachers from the same school for different sessions, i.e. attendance can be ‘shared’ within a school, so that ideas can be cascaded across colleagues. We will pay for one day’s supply cover for teachers who attend the first and last event plus some twilight sessions, with schools asked to fund the remaining half-day. There are no further costs for the CPD. Further details will be emailed out with joining instructions before the first event. We are delighted to announce that the University of Reading has appointed Dr Cathy Tissot as the new Head of Institute of Education. We have said a fond au revoir to Professor Andy Goodwyn, the previous Head of School, wishing him the very best for the future. Cathy came to the Institute of Education in early 2008 as a senior lecturer to teach primarily on courses on special educational needs. 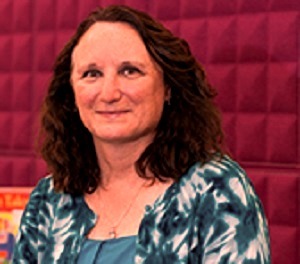 Cathy was previously the Director of Teaching and Learning, and has also been the Programme Director for the MA in Education and SENCO accreditation programme and the Deputy Director of Research. Born in Green Bay, Wisconsin, USA (and a lifelong supporter of the American football team the Green Bay Packers), Cathy moved to France in 1990 and later that same year to the UK. Cathy has always had an interest in special educational needs and worked with many children with disabilities while working as a primary school teacher in the United States. Cathy started a lifelong research interest in autism spectrum disorders through studying for her doctorate at Brunel University which explored the factors that determine appropriate educational provision for children with autism spectrum disorders. Her research focuses on adolescence and the particular challenges that puberty brings to this group of students, as well as the staff that support students with disabilities in schools (SENCOs – Special Educational Needs Coordinators). A governor at two autism specific schools, she enjoys working with teachers and parents to try and improve services for this group of students. On her appointment Cathy said, “I am really looking forward to continuing to work with colleagues at the Institute of Education as well as the broader university and local schools as we navigate through the opportunities that the ever changing government priorities for initial teacher training bring. The IoE’s strong recent REF results are a great success to build on”. Clearing & Adjustment 2015 is now closed. If you are interested in applying for entry for September 2016, read this.